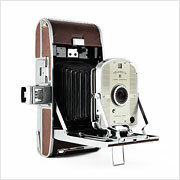 620 Film is a medium format roll film introduced in 1932 by Eastman Kodak as an update and completely unnecessary alternative to the 120 format. 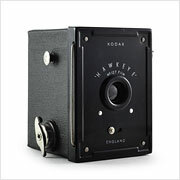 At the same time, Kodak also debuted 616 film as an evolution of 116 film (which is a slightly wider version of 120). Both 616 and 620 are identical to their predecessors apart from having thinner spools which supposedly meant a new class of thinner cameras. 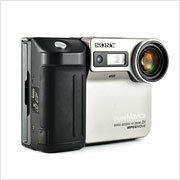 The two new film formats, as usual for Kodak film formats, were released alongside brand new compatible models: the Kodak Six-16 and Kodak Six-20 folding cameras. 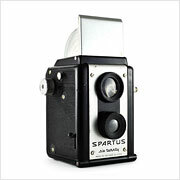 Eastman Kodak gambled on the new film format so heavily that it discontinued its 120 models, causing other manufacturers to join in and offer their own 620 cameras like the Spartus Six Twenty and Herco Imperial. 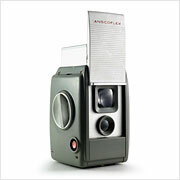 Some companies like Ansco went one step further and produced their own competing 620 format film in addition to models like the Ansco Panda. 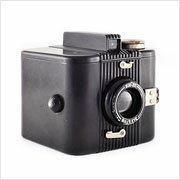 Despite Kodak’s best efforts, 620 film never quite caught on in the way that they had hoped. 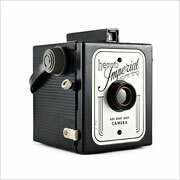 The supposedly slimmer cameras weren’t especially slim; most 620 models were inexpensive box cameras which did little to take advantage of the smaller spools. Furthermore, breakthroughs in emulsion technology and user-friendliness made smaller, more convenient formats like 135 and 126 considerably more enticing to the average consumer. 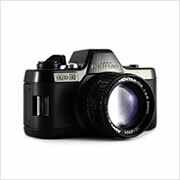 Kodak slowly abandoned the format, phasing out 620 cameras by the mid 1960s and discontinuing the film itself by the mid 1990s. 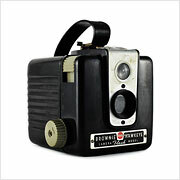 The format is still being kept alive, however, by modern day photographers who manually wind 120 film onto 620 reels. 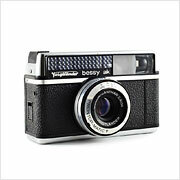 There are also companies who “manufacture” 620 film by selling respooled 120 at a premium. 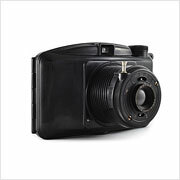 Although the mainstream popularity of the 620 format was relatively short-lived, there were still a few fascinating cameras that came of it. 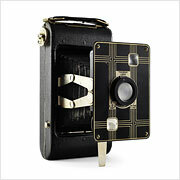 World-renowned industrial designer Raymond Loewy created the beautiful Ansco Anscoflex, from Chicago came the Imperial Savoy in a variety of cheerful colors, and then there’s the rugged and perhaps slightly overengineered Kodak Medalist which was used by the US military during much of World War II. 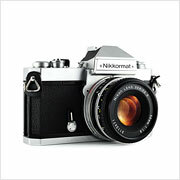 Interested in finding 620 film or cameras that use it? 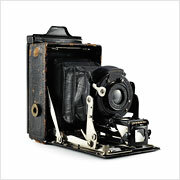 McKeown, James M. and Joan C. McKeown’s Price Guide to Antique and Classic Cameras, 2001-2002. (Grantsburg, USA: Centennial Photo Service, 2001), 53, 301, 330, 354, 373-374.